Here is MTK IMEI repair tool for your Mediatek device. The name of the tool is MTKDroidTool and it's a free tool. Repairing your MTK's IMEI is a must thing to do if you want to use your device's SIM card. MTKDroidTool is designed to serve for repairing IMEI for the following Mediatek variants. Or any other modern MTK CPU. 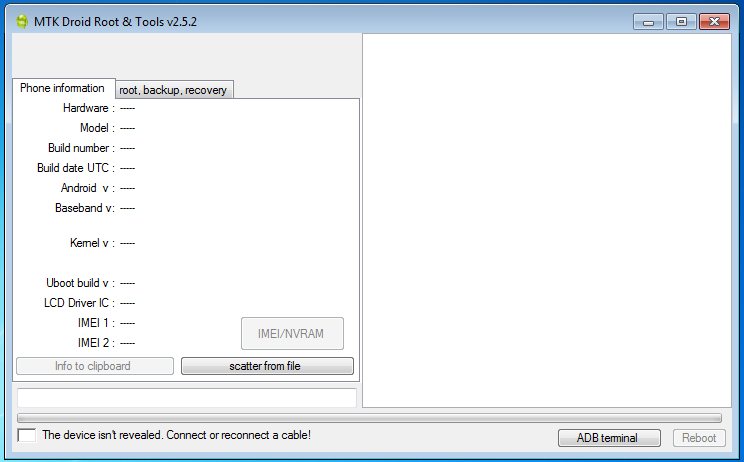 Aside to repairing and backup your MTK's IMEI, this MTKDroidTools can also be used to backup your firmware and recovery, rooting your device and create scatter file. If you are interested then you are please to download the MTKDroidTool from all versions. How to use this tool? Then let's go to the guiding page. How To Repair MediaTek IMEI Using MTKDroidTool. That's how you repair MTK IMEI guys.